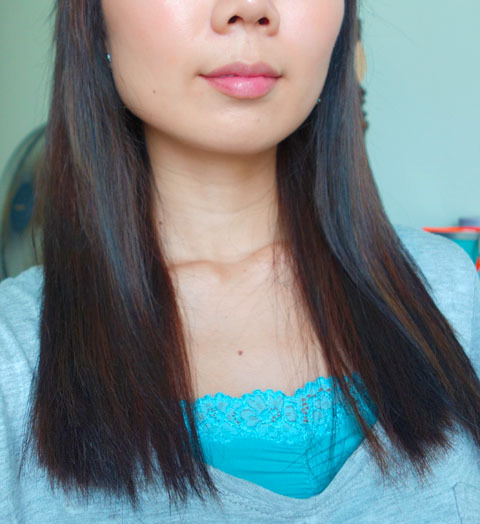 FRIZZ FREE HAIR WITH DOVE NOURISHING OIL CARE | Beverly's Net: family. food. fashion. 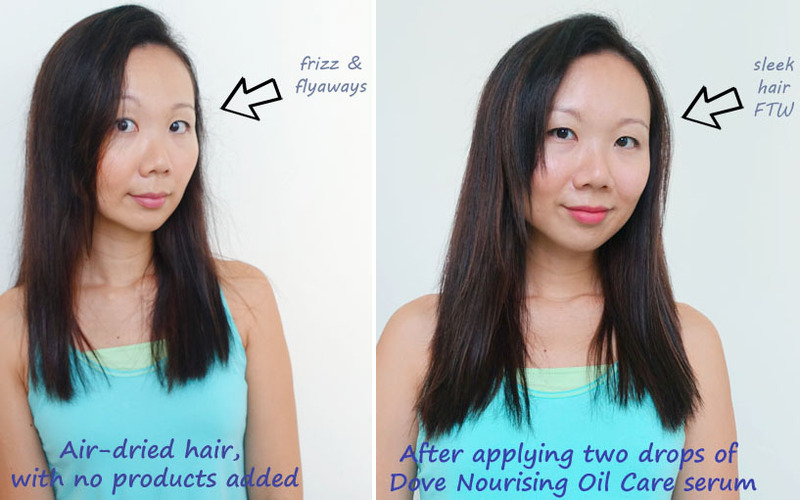 FRIZZ FREE HAIR WITH DOVE NOURISHING OIL CARE – Beverly's Net: family. food. fashion. 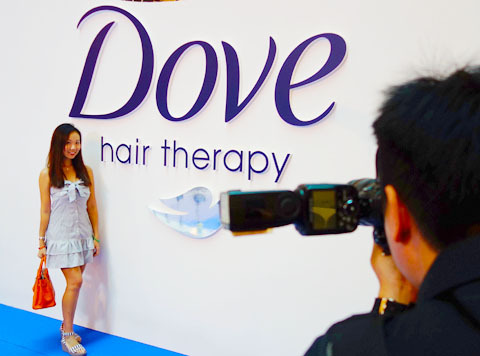 Dove had a public event on recently, which invited people to come and check out the new Dove Nourishing Oil Care serum. Heaps of people were there. 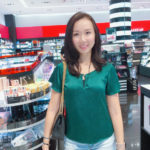 Guess frizzy hair is a serious concern among many, especially when we live in a humid environment like Singapore’s – which contributes towards frustratingly frizzy hair. I’m always struggling with mine! Sometimes I feel like my hair is just crying out for a dose of rich nutrients, y’know? Carter came along for the event, and scored himself a cup of juice, so he was happy. HE doesn’t need Dove’s Nourishing Oil Care…. HE’S blessed with baby hair. All soft and straight and silky. Jealous? Me? 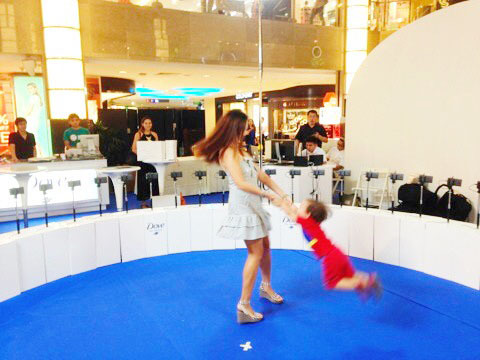 I tried out the Frizzometer! I was wondering if it’d actually do anything, but it scarily did. It really did ‘show off’ the flyaways and frizzy hair, which was both cool and super sad, all at the same time. First time ever doing one of these 360 degree photos/video! 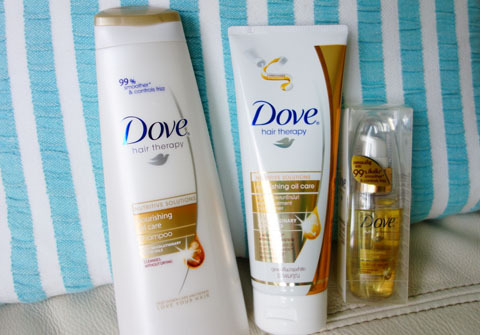 This is the Dove Nourishing Oil care range – shampoo, conditioner and serum. 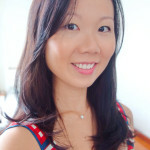 I personally found the serum to be the best one-stop-stop solution for frizzy hair, thanks to the big shot of luscious nutrients it provides. Despite it’s nourishing properties, the serum isn’t greasy. 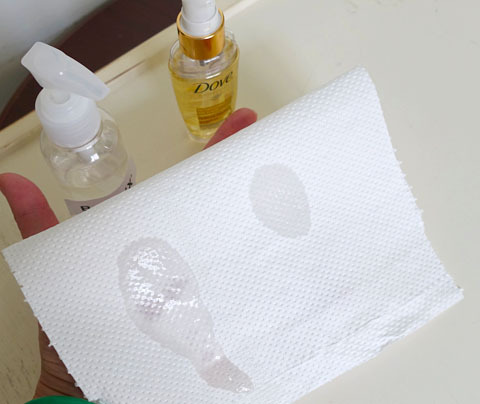 This is how it performs with *ahem* Brand X (a product I’ve been using for almost a year now) – see how Brand X doesn’t absorb into the paper towel (it kinda ‘runs’ off in an oil slick), but Dove does so instantly after I pump it? 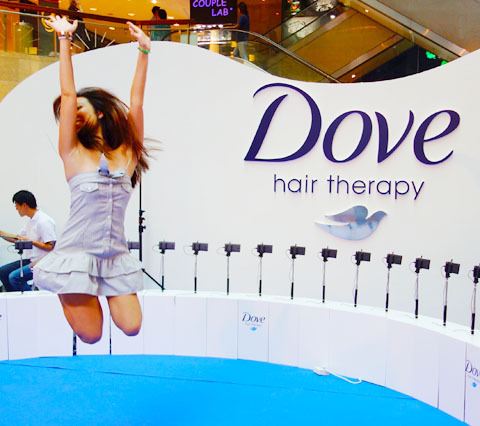 This is how the quick absorption translates into your hair – so you’re left with very smooth hair without the grease factor. 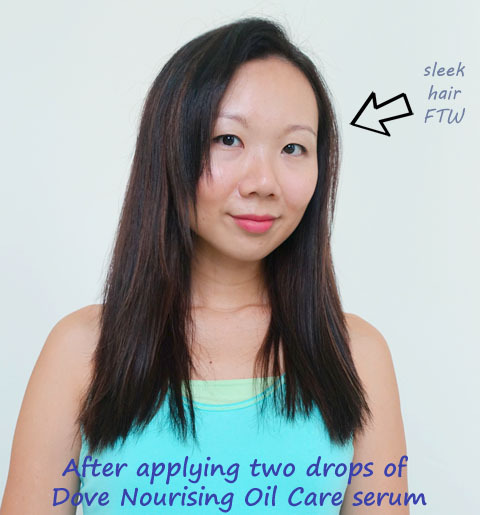 So, how does the Dove Nourishing Oil Care serum fare on me? So this is me, with freshly washed hair. 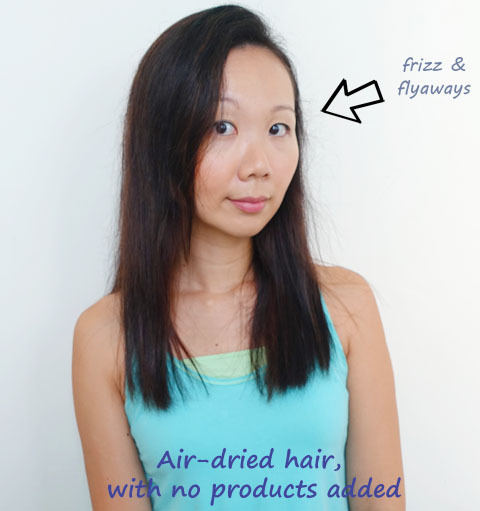 It’s air-dried (I don’t own a hair dryer and can’t be bothered to use one anyway, because I feel it contributes to even drier hair in the long-term), and completely au naturale – as in, ZERO after-care products in it. I actually brushed it properly for this photo, and tried to smooth it down! I failed. Pump 2 pumps onto my palm. Rub my palms together to warm it up. Apply lightly to the last 10cm of my hair. Pretty straight forward and takes perhaps 5 seconds or less! This is me after I apply the serum. It’s VERY noticeable in real life, because my natural hair suffers from flyaways and a lot of frizz. 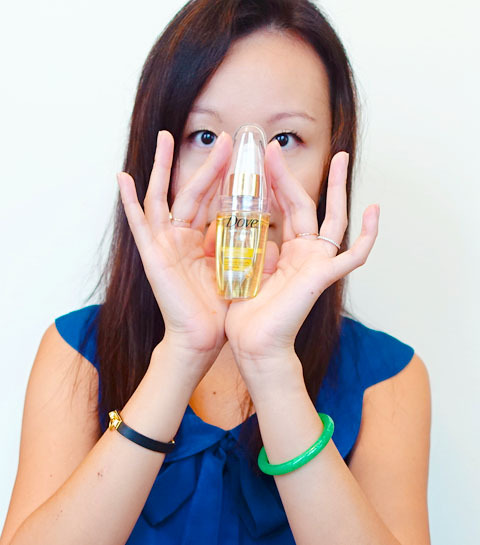 The serum smooths down the cuticle and somewhat straightens my hair because of the sleek look it gives. Super easy and fast to apply. 5 seconds and you’re done. Easy peasy! Immediately smooths my hair cuticle and ‘calms’ down all my frizz. Absorbs quickly and isn’t greasy. This is very evident just be examining the residue on my palms afterwards. With most serums, my hands are really oily and I soap them up 2x just to get that clean feeling on my hands. With this Dove serum, I don’t even need to wash my hands immediately afterwards because it absorbs and feels non-oily on my palms. It’s pretty cool! A little goes a long way. 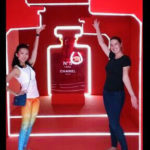 The small bottle is portable and will last months of daily use. 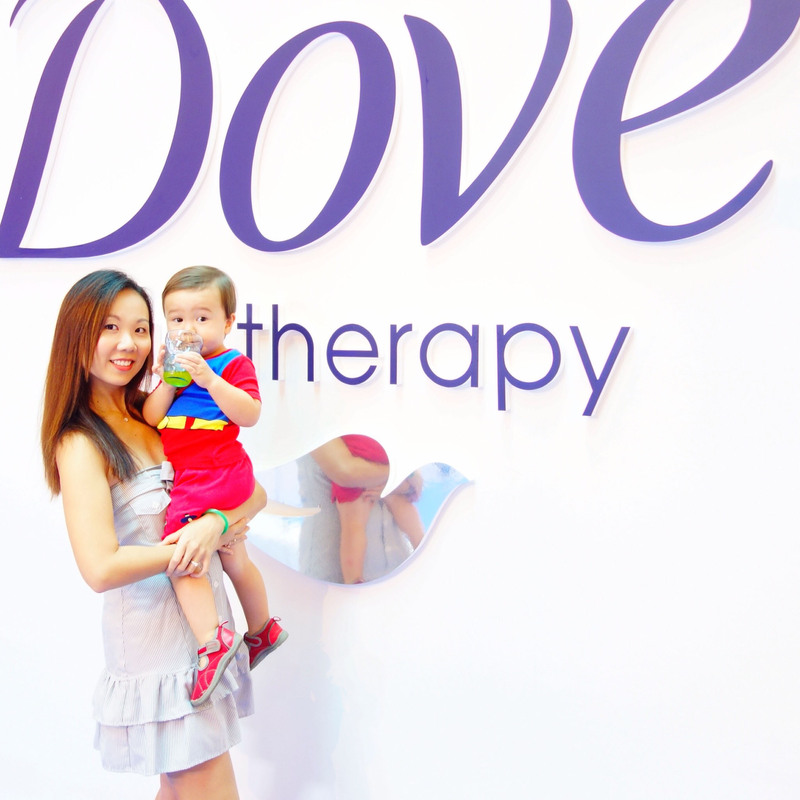 To find out more about Dove Nourishing Oil Care serum, visit the Dove Singapore Facebook page.